Matthew Apgar - mapgar@shawmedia.com Caldwell Banker realtor Marge Ruhnke opens up the lock box on a home to show to prospective home buyer Zach Wagner of Crystal Lake on Friday, March 9, 2018 in Bull Valley. Matthew Apgar - mapgar@shawmedia.com Caldwell Banker realtor Marge Ruhnke (right) goes over the listing information on a home for orospective buyer Zach Wagner of Crystal Lake on Friday, March 9, 2018 in Bull Valley. 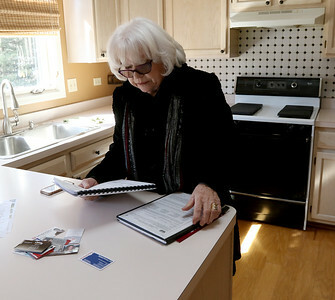 Matthew Apgar - mapgar@shawmedia.com Caldwell Banker realtor Marge Ruhnke tours a home for sale with prospective buyer Zach Wagner of Crystal Lake on Friday, March 9, 2018 in Bull Valley. Matthew Apgar - mapgar@shawmedia.com Caldwell Banker realtor Marge Ruhnke shows a home to prospective home buyer Zach Wagner of Crystal Lake on Friday, March 9, 2018 in Bull Valley. Matthew Apgar - mapgar@shawmedia.com Caldwell Banker realtor Marge Ruhnke opens up a home to show to a prospective home buyer Friday, March 9, 2018 in Bull Valley. Matthew Apgar - mapgar@shawmedia.com Caldwell Banker realtor Marge Ruhnke goes over information with prospective buyer Zach Wagner of Crystal Lake on Friday, March 9, 2018 in Bull Valley. 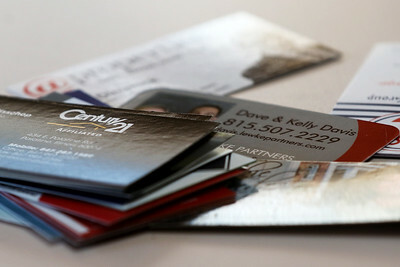 Matthew Apgar - mapgar@shawmedia.com Multiple business cards for realtors are piled up on the kitchen counter of a home for sale Friday, March 9, 2018 in Bull Valley. 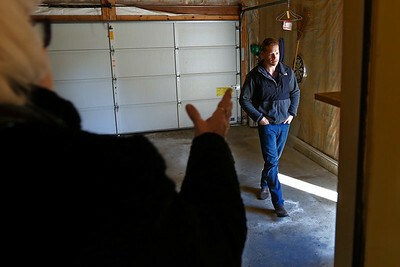 Matthew Apgar - mapgar@shawmedia.com Caldwell Banker realtor Marge Ruhnke looks over a home with prospective buyer Zach Wagner of Crystal Lake (not pictured) on Friday, March 9, 2018 in Bull Valley. 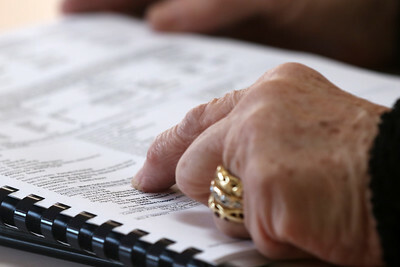 Matthew Apgar - mapgar@shawmedia.com Caldwell Banker realtor Marge Ruhnke looks through the listing informaiton on a home for sale Friday, March 9, 2018 in Bull Valley. 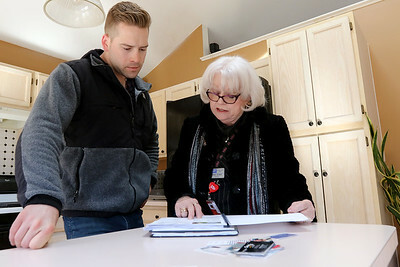 Matthew Apgar - mapgar@shawmedia.com Caldwell Banker realtor Marge Ruhnke prepares to show a home to prospective home buyer Zach Wagner of Crystal Lake on Friday, March 9, 2018 in Bull Valley. 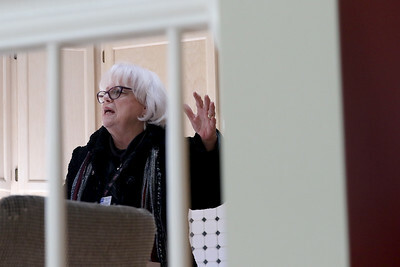 Caldwell Banker realtor Marge Ruhnke shows a home to prospective home buyer Zach Wagner of Crystal Lake on Friday, March 9, 2018 in Bull Valley.